Cricket Communications is the affordable wireless carrier, with great deals on cell phones and cell phone plans. Unlike most other cell phone companies, Cricket offers everything unlimited. Unlimited local calling, unlimited US long distance, unlimited text & picture messaging -- all with no signed contracts & no overages. 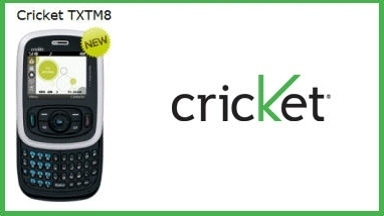 If you prefer to have a prepaid cell phone check out Cricket PAYGo ? our daily prepaid plan option. Our unlimited service doesn't stop with voice plans either. With Cricket, you can get unlimited wireless Broadband Internet for your home computer or laptop. Regardless of what Cricket plan you choose, you'll be hard pressed to find a better wireless deal from any other carrier. And of course, we also have all the cell phone accessories you need from manufacturers like Motorola, Nokia, Samsung, LG, and Kyocera. No reviews were found for Cricket Wireless.